Grand Haven Area Rental on Spring Lake with Pool Access! Don't forget your boat! Boat slips are available for rent at the marina. 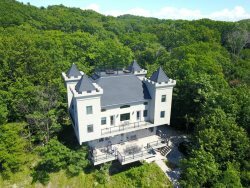 This condo building is right in the heart of where you need to be, close to everything and only a short drive to Grand Haven State Park. This is a beautiful end unit with views of both the river and marina. This Spring Lake condo is the perfect location for your vacation destination. There are other restaurants within walking distance from the Condo as well as a great bike path through the Village of Spring Lake. This vacation condo is just minutes away from all of your favorite "things to do!" 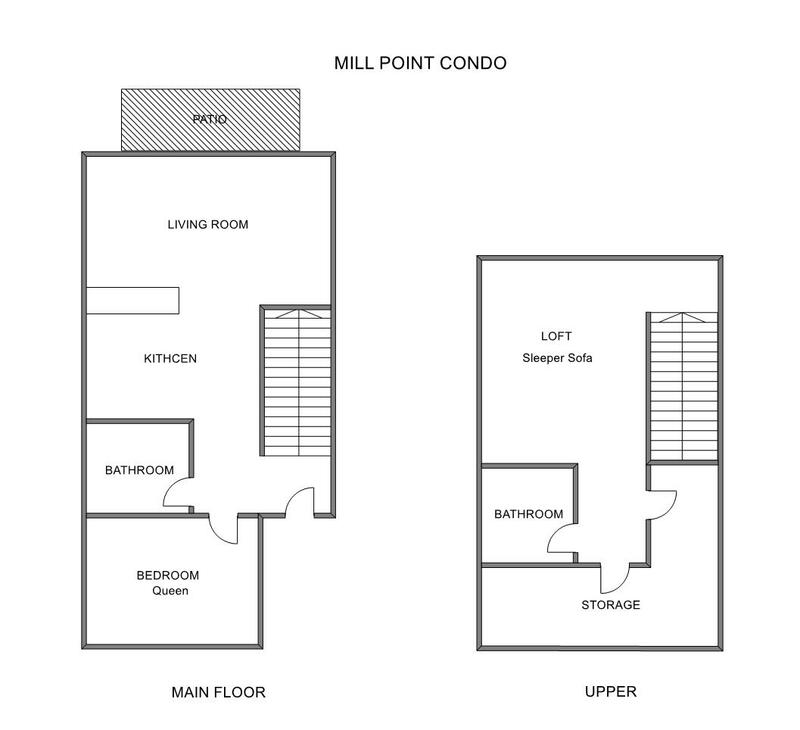 The condo features one bedroom and a loft as well as two full baths. There is one queen bed in the main floor bedroom and a sleeper sofa in the loft for sleeping accommodations. This one bedroom condo features large rooms and open kitchen/living room. The balcony overlooking Spring Lake is a great spot to enjoy your morning coffee and watch the boats go by. The tall ceilings make this one bedroom condo feel very spacious and roomy. This property rents for ONLY two weeks total in the summer. Once the two weeks are booked there will be no more reservations made. I've corresponded by email for years and I feel like they know me. I always get a quick efficient response. We love the condo, it feels like home. I've been corresponding by email with the staff for a couple of years and they are so quick to respond and answer any questions that may come up. This year we asked for late check out and they responded quickly and said yes which we appreciated. Overall our stay was great. The condo is clean and always up to date. We like the new cupboards. :) The neighbors are nice, we always see some familiar faces. We will continue to stay as long as you'll have us! The home was nicely appointed and clean. Great view of the water and quiet location. Double check to see if owner has made Wi-Fi available. Very good experience. Relaxing to sit and watch the boats outside of the main living area. Close to beach, downtown shopping nice place to be anytime.